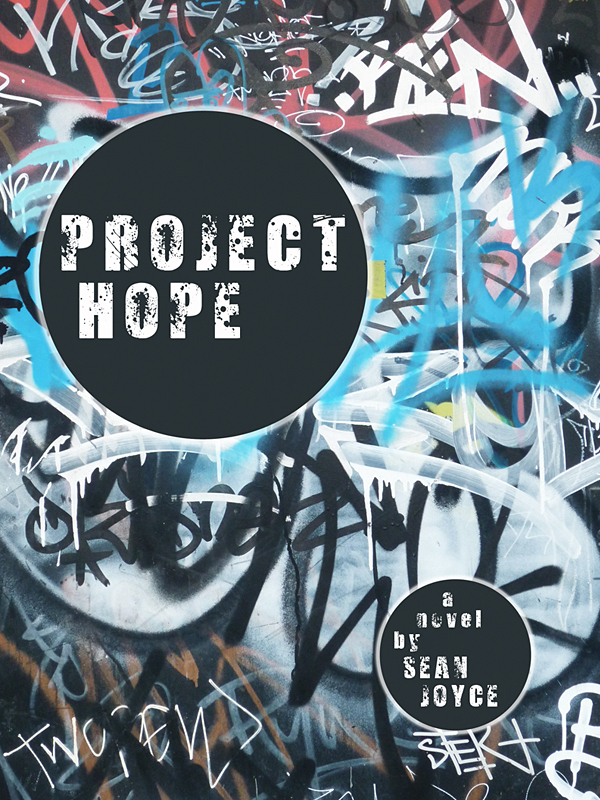 Today we're chatting with author Sean Joyce about his book, PROJECT HOPE. Welcome, Sean. Tell us a bit about yourself. I’m originally from Preston in the North West of England, though I’ve been living in Toronto for some time, and will shortly be moving to Shanghai. I’m an English teacher by day and a writer by evenings and weekends. Literature is my greatest love, but I also have a passion for music and film, and spend much of my time hopping from one country to another. I’ve been writing since the age of five or six. For some unknown reason (I certainly didn’t inherit any of my writing ability from my parents – they will tell you this themselves) I started writing stories in small notebooks, and continued to do so until my early teens when I laid down the pen for a while in favour of a music obsession. I mostly plagiarised in those first years, writing my own versions of established stories such as Treasure Island and Peter Pan. I also drew my own book covers and illustrations, though this drawing ability seems to have deserted me in adulthood. After I realised I probably wasn’t going to become the next Noel Gallagher, I hung up my music ambitions and dove headlong into a poetry obsession that lasted quite a few years, until I realised my original love i.e. writing prose, was the way forward. Tell us about PROJECT HOPE. What’s the story about? It’s a contemporary dystopian story set in the Zones, a troubled neighbourhood walled off from the outside world. The reasons for this exclusion are hinted at, though I wanted the reader to also draw their own conclusions. The story focuses mainly on Dylan, a nineteen-year-old artist, and his little sister, Lil. Left to take care of her after their parents die at the hands of an epidemic, Dylan does his best to protect her from the harsh realities of life in the Zones. In addition to the rampaging gangs known as hoods, who terrorise the residents, he also has to contend with the guards, the government-assigned security force led by the tyrannical warden. By night he feeds his burning need for expression, as well as his anger at the world, by secretly painting subversive artworks on the wall. 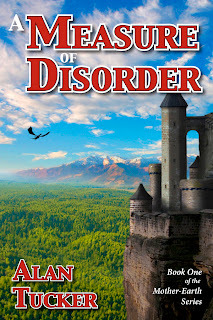 But as the hoods and the warden begin to single Dylan out and tighten their grip on the Zones, he realises he must do whatever it takes to protect his sister, and is forced to move out of the shadows and unite the downtrodden residents. I’m pretty sure the story is a convergence of many different sources, only some of which I’m aware of. I know for sure that I was inspired in some way by Cormac McCarthy’s novel ‘The Road’, and the central relationship in Project Hope is certainly a reflection of the relationship between the boy and the man in McCarthy’s story. I was fascinated by the strength of their bond, and the lengths to which they go to in order to survive and to maintain their faith. I’m not yet a father, but I do have a little sister. And so on some unconscious level, I think I might have decided to write a version that reflected my own life experience and homeland. I believe my time as a Library Assistant in some of North Manchester’s toughest areas also informed parts of the story. The Zones might be a distorted and exaggerated setting, but it was definitely informed by inner city problems that I see all over the country. But for the most part, I have no real idea where the story came from. I’m just glad it did, and that it came to me first. I employ a combination of the above. I do as much self-editing as I can at all stages of the writing process. At some point I’ll deem it ready enough for my very smart and trusted girlfriend to read it, along with another close friend who knows his stuff. After that, I’ll do as much as I can before handing it to a professional editor. For Project Hope, I had an excellent editor who made a very significant contribution to both the story and the writing style. Without his help, it certainly wouldn’t be half as good. I start with a very basic situation or idea and go from there. I’ve never planned a book at the starting point. I think you have to let it breathe and gain its own momentum before you start fiddling with a plan. With Project Hope, I had Dylan and Lil and The Zones; that was it. The story followed from these two characters and the setting. However, once you’re past the halfway mark, it might be acceptable to start mapping a route to the finish, but even then there are bound to be plenty of unexpected turns, as well as a few dead ends. The writing itself is rarely hard. The hard part for me is keeping out external distractions i.e. the internet, TV, people, life. A coffee. Or else an empty cup, which signifies the promise of future coffee. Headphones, in case I’m in a public place and need to block out terrible music and/or unnecessarily loud conversations. For some reason, I tend to work well in cafes, so perhaps a few strangers chatting at tables nearby is a pretty good writing prop. Most people say flying, because let’s face it, flying would be incredible. But if I had to give an original answer, I’d say that the ability to speak any language would be a fairly useful super power. LOL, okay. Quick writing test! Use the following words in a sentence: gratitude, embargo, and manipulate. The Italians were overcome with gratitude when the worldwide pizza embargo was finally lifted after some cunning political manipulation at the hands of their Prime Minister. I’m obviously grateful to my girlfriend and all the other friends/family members who’ve always helped me with my writing. 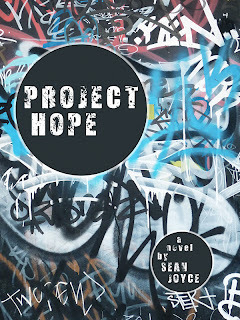 I’m also very grateful to my editor Harry Dewulf of Densewords, as well as to all the bloggers and book reviewers who are currently helping me bring Project Hope out into the world. Thanks for chatting with us, Sean. And good luck with your book! Thanks a million to Dorothy for giving me the excuse to talk about myself freely! Winner of the Three-Two-One Pitch Contest! Yes, it's time to announce the winner of this month's Three-Two-One Pitch contest. •Set within the confines of a traveling freak show, in this modern retelling of Shakespeare's classic tragedy Hamlet, Ben McPherson, son of the proprietor of McPherson's Traveling Carnival of Wonders, must avenge his father's untimely death. Narrated by Ben's best friend Liam, Fall of a Sparrow explores the monsters and madness that hide in the shadows and the secrets that can eventually become our downfalls. Thanks to everyone who participated, especially our awesome agent judge. You rock, Bree! Keep writing and polishing, everyone. Our next pitch contest takes place September 21st and 22nd! Details to come. 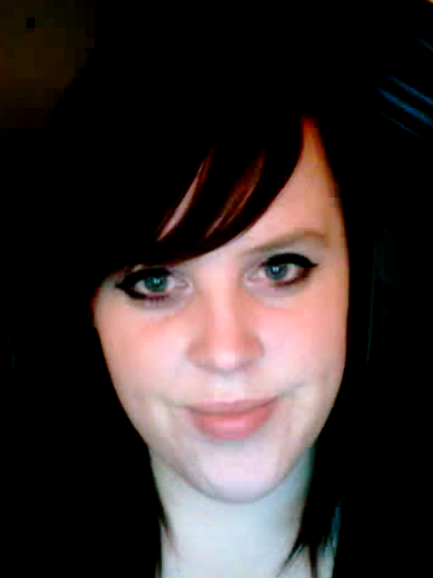 Today we're chatting with author J. Anderson about her book, AT WHAT COST. I used to write short stories in high school, but I really got serious about writing about six years ago. That's when I started this story. I had been teaching English at the middle school level (Grade 7-8) and was reading what the kids were reading. That's where I fell in love with YA. I knew I had to join the ranks of the awesome authors who write YA. It took me six years from concept to publication. Tell us about AT WHAT COST. What’s the story about? 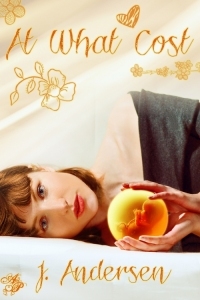 At What Cost is the story of a teenage girl who finds herself with an unwanted pregnancy. 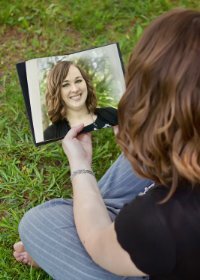 She feels scared and alone and is terrified to tell her parents, especially because her mother is constantly reminding her not to taint the family name. So when her boyfriend suggests she get an abortion, it seems like the perfect plan. She wouldn't even have to tell her parents that she's pregnant. But as with all perfect plans, it doesn't end up being as perfect as she thinks. No matter what she chooses, there are severe consequences she'll have to deal with. Once she does make a choice (I won't say what she chooses. ), the story follows her through dealing with those ramifications. Honestly, I prayed about it. The abortion issue has always been on my heart. I can remember back in high school doing debates in government class about the issue. So, when I started praying about what the topic should be, abortion was the answer. I'm a planner, but I leave room for a little pantsing. I even create these elaborate plot charts with rising action, climax, falling action and all that. It keeps me on target and helps me make sure I stick with the conflict. But there's always a little room for change. The first draft is the hardest. Just getting that plot line down is horrible. I procrastinate as much as possible, usually by doing promotional stuff on Facebook. But once I have the basic draft, I can edit it into what I want. Editing rocks! I agree! What do you absolutely have to have nearby when writing? Me too. ;) If you could have any super power, what would it be? Dang, these questions are hard! I don't even remember what I googled yesterday! Maybe folding an origami Star Wars X-wing fighter. It was for my son. LOL, sounds creative. Quick writing test! Use the following words in a sentence: ambiguous, sanctuary, and mutter. The ambiguous figure crouched in the back row of the sanctuary, muttering something I couldn't understand; something about "the body" and "forgiveness". Feeding/changing the baby or doing crafts with my daughter. I have to start with my family, especially my hubby, Todd, who believed from the beginning that I would be published, even when I had my doubts. And to my parents, who still post anything they find about me (the latest being an article in the local paper on my publishing accomplishment) on their refrigerator like they did when I was in grade school. A special thanks goes to my awesome betas, Wendy, Bri, Jeanine, and Tracy, and to the women who shared their stories with me. To my editor, Kay, and the rest of the crew at Astraea Press, you are awesome, and to Steve, my agent, who totally rocks, thank you! 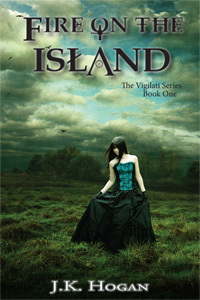 Today we're chatting with author JK Hogan about her novel, FIRE ON THE ISLAND. 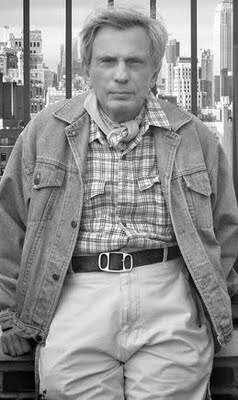 I'm a country girl and I provide my husband with endless amusement with what I'll call my “dialectal idiosyncrasies.” I'm an avid reader and an artist in addition to being an author, and I also enjoy dog sports such as agility and dock diving. My husband and I are also expecting our first child. That's awesome news! Congratulations! How long have you been writing? I've been making up stories probably since the time I learned to talk, but I only started writing them down in the last 10 years or so. (That makes me sound old, doesn't it? I'm only 30, I promise!) It was only in the last year that I actually completed something that I thought was worth publishing. Tell us about FIRE ON THE ISLAND. What’s the story about? It's about a young Scottish woman who finds herself mixed up in a battle with demons trying to take over the human world. Along the way she meets a parapsychologist who comes to Scotland to investigate rumors of her being a witch. Much to both of their surprise, the rumors turn out to be true! Together they must find a way to defeat Alastore, the demon king, and close the gate between the worlds before Samhain, when he is the strongest. You'll have to read to find out how they do it! Would you believe it just popped into my head? Memories from a recent trip to Scotland—specifically the Isle of Arran where the story takes place—gave me Isla, my heroine, and the setting. Blues concerts with my friend, especially New Orleans' own Tab Benoit, gave me Jeremiah and his love of blues guitar. The rest just happened. My husband took me out to dinner one night and I told him I planned to write a book. I then spent the next two hours blurting out the entire story. He was so sweet about it—even as his eyes glazed over. Definitely a panster. I'll have a concept or a general idea of a plot (see above) but I'm definitely the 'sit down and write' type. Occasionally I'll have to storyboard a bit if I write myself into a corner, but that doesn't happen often. Contrary to what many may believe, a lot of it is hard, but rewarding as well. Right now, I'm finding the hardest part to be actually being able to sit down and focus when I have the opportunity to write. Scenes tend to come to me at the most inopportune times, but when I have a block of time with no interruptions, I struggle to get it out. When that happens, I generally just let it stew until it has to come out, no matter what I'm doing! Definitely my iPod. And coffee. Lots of coffee. I'd be able to fly. Kind of cliché I know, but I used to have these wonderful dreams as a kid where if I just ran fast enough and jumped high enough, I could take off! Oh boy, I have a disturbingly curious nature so I've probably googled just about everything under the sun—some not fit for polite company. To make it easier, I'll keep it in the context of my book. The funniest thing I googled while researching for FIRE ON THE ISLAND was a variety of Cajun and French Cajun slang, curses and insults. It was pretty entertaining. Quick writing test! Use the following words in a sentence: rigorous, satin, and vacuum. “She rigorously vacuumed the satin sheets after her lover shed all over them.” Shapeshifters, anyone? Reading! I know, *snore*. But it's true! I'm so addicted to reading, I sometimes have to force myself to put down my Kindle so I can write my own books. If not reading, than I can be found practicing or competing in dog agility. Google it, it's really fun! My husband James, and my family have been super supportive. Also my group of friends from the place we train for agility, Dog Haven, has been amazing. They were always encouraging me in the process of writing and publishing this book. Lastly, I have to give a shout out to my favorite musicians, Jonny Lang and Tab Benoit for providing the soundtrack to the story in my head. Thank you so much for chatting with us today, JK! Your book sounds amazing! 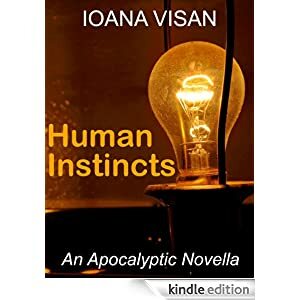 Today we're chatting with author Ioana Visan about her latest novella, HUMAN INSTINCTS. 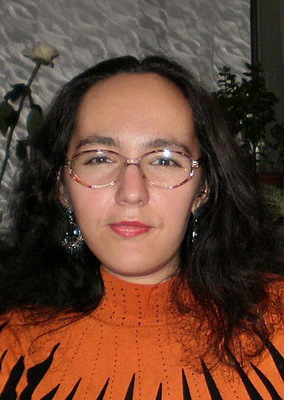 Welcome, Ioana! Tell us a bit about yourself. I'm a web designer, and I live in Iasi, Romania. Ever since I was a little kid I dreamed about reaching the stars, but since I can't, I write about it. I was just doing the math the other day and I realized I've been writing in English for ten whole years. I've been writing in Romanian for way longer than that. Tell us about HUMAN INSTINCTS. What’s the story about? Human Instincts is an apocalyptic novella. We find out from the start that there was a war and a virus and then a vaccine whose side effect was putting an end to humans' ability to evolve intellectually. The story focuses on Dr. Deanna Nichols efforts to get unaffected DNA samples from a group of dangerous criminals held in a prison inside the arctic desert. Without giving away too much of the plot, I can tell you there's a lot of tension and drama, but there's also hope. I wanted to write an apocalyptic story, but I didn't want it to focus on the causes or the technical side of the event. I was more interested in the solution of the problem and the way it psychologically affected the people involved. All of the above. My writing usually goes through four stages. First, I write the story and revise it once to get to the second draft. Then I let my friends read it for nitpicks on the plot and characterization. I fix the problems and then it's off to editors, people who don't know me and are not familiar with my writing. It works for me. A planner as in I know from the start how a story begins and how it ends. Everything in between is the pantser's fault… mostly. Waiting for editors to return their drafts. If it's winter, the cat so I can keep my hands warm. Otherwise, silence would be nice. From a selfish point of view, I think I'd choose teleportation. I like to travel, but I'm not so keen on the whole getting from one point to the next part. Nothing weird comes to mind, but being a science fiction writer, I did google lots of technical terms and procedures. Quick writing test! Use the following words in a sentence: cryptic, devastate, and kangaroo. The kangaroo mob had devastated the crop field, leaving behind cryptic infinity signs. I'm grateful to everyone who ever read my stories and asked for more. My editors must have a place reserved in heaven already, I demand so! And my family who is amazing and deserves all the best things in the world. All the information regarding my writing is available on my website. My blog is my personal playground and I'm also happy to connect with readers on Facebook and Twitter. Here are some links. Ioana, thanks so much for chatting with us today. It was great having you on the blog and learning about your book! This contest is now closed to entries. Our judging agent will review all pitches, and I'll announce the winner once a decision is made. Stay tuned! Yes! It's here! Are you all ready to enter the Three-Two-One Pitch Contest? That's awesome! But first, before you post, look over the rules once more. 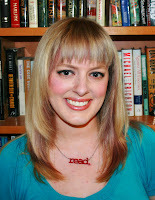 ONE - Literary agent Bree Ogden of D4EO Lit will judge and pick a winner. You have today, August 20th, and tomorrow, August 21st, to post your three-sentence pitches (no run-on sentences!) in the comments section of this post. At midnight on August 21st, I will turn off comments and no other entries will be accepted. You are allowed two entries per person. Bree Ogden, our judging agent, will then read all the entries and pick a winner, who will get a full manuscript request! Good luck, everyone. Can't wait to read all your pitches. On your mark, get set, GO! I know you've been anxious to find out who will be judging our Three-Two-One pitch contest next week. Well, the wait is finally over. 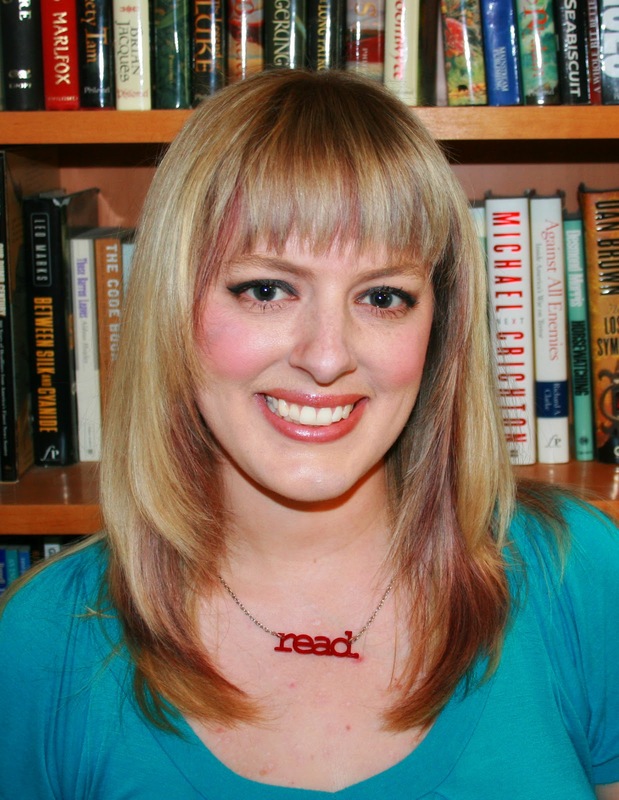 The amazing literary agent judging our contest is Bree Ogden of the D4EO Literary Agency! We're very excited to have Bree judge our contest. So come back on Monday and/or Tuesday to take part. Good luck to everyone entering. I can't wait to see the hidden gems out there! Thanks for having me here! 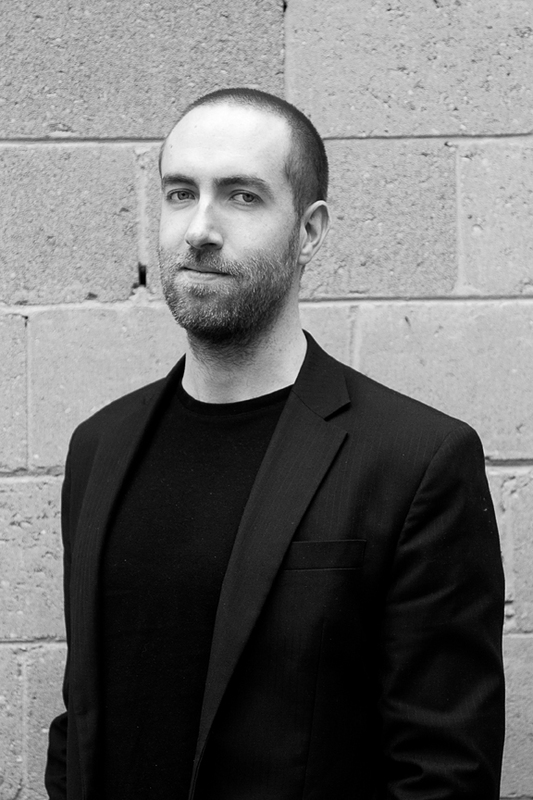 I'm a writer, a graphic designer, a dad, and a soccer coach — not necessarily in that order! I've been writing off and on since I was little. Plays, short stories, poems, you name it. I started a handful of novels but never completed one until 2010. When I'm not writing or performing other tasks to keep a roof over my head, I like to spend time with my two daughters (21 and 16 now — holy cow I'm old!) and our family pets: Penny, the dog in my bio picture, and cat Goldielocks. I've also coached soccer for many years. I’ve always written, ever since I was little, but in most cases I would start something but not have an ending, or vice versa. My graphic design business was a little slow a few summers ago, so I thought I’d give this story a shot. About four months later, I had a complete first draft finished. Then, I sent it out to a few friends and relatives who encouraged me to take it farther. I haven’t really looked back since. 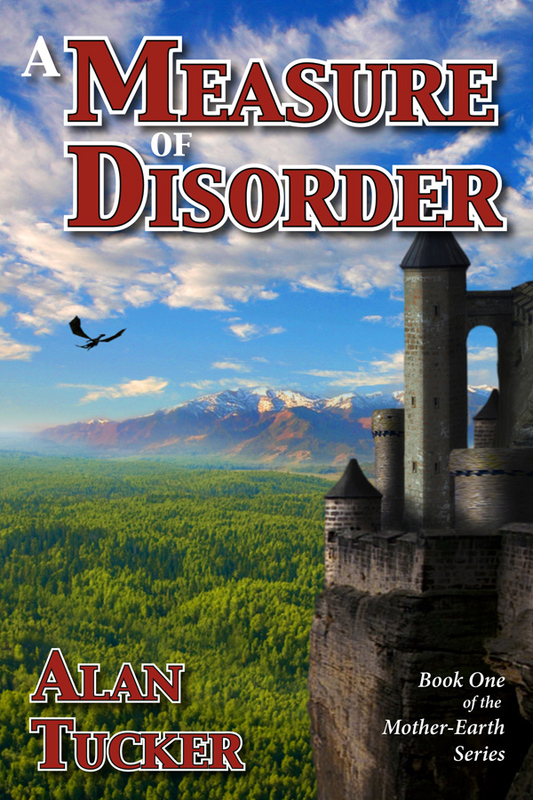 Tell us about A MEASURE OF DISORDER. What's the story about? This book begins the tales of an eighth grade science class that is sent to another world while on a field trip. Once they discover what's happened, they try to find a way home, only to have the world begin to reshape each of them according to its vision of their inner being, or soul if you will. I had one reviewer describe the concept as "completely insane," but in a good way! My younger daughter was about the age of the characters when they start out as eighth graders and I wanted to write a story featuring that age group. Most books I found were either younger or older aged characters. As far as the story goes, I’ve never been a fan of the “everything goes back to normal” formula of a lot of stories. Change is an integral part of life and I wanted to portray that in the stories. Growing up is hard. Growing up and becoming something else entirely would present a whole new set of problems. A little bit of both, but if I had to pick one I'd say pantser. I usually have a pretty good idea of where I want the story to go when I'm writing it, but how I get there is rather unscripted a lot of the time. Lately finding the time! I just finished up a ghostwriting project and I've also been busy with graphic design projects, but I'm definitely itching to get back to my current work in progress. As far as the process itself, the little unexpected details can take more time than anything else. You come to a point in a story where your character does something that, on the surface, seems like an ordinary activity, like fly fishing. But, when you start writing about it, you realize that you want to describe the flies he's using or just more about the activity. So, you have to start doing some research about something that has very little to do with the grand scheme of things in the story, but it's those little details that are so important to creating a rich environment. The only thing I can think of is my computer, but even that isn't entirely true because I often work on plot points or particular passages in my books while I'm walking the dog or running errands. My stories are never far from my thoughts. The Flash was one of my favorites as a kid. I always thought it would be the coolest thing to be able to run fast enough to be invisible, or even time travel! Flash had a special treadmill he used a few times to do that and those stories really fired my imagination. Mustard gas. I needed to research it for my last project. Quick writing test! Use the following words in a sentence: liquidate, liquid, and date. The delicious, syrupy liquid from the last date dribbled down my chin as I frantically searched the house for something valuable to liquidate in order to purchase more of the magical fruit from the vendor across the street. Good one! Here’s the part where you thank the people who are supporting you. Let's hear your shout outs. Thanks again to you for having me here today! And many thanks for Megan for putting this tour together. I never knew so much work would go into a book after I typed "The End"! Most of all, though, I'd like to thank all the readers who've given my work a chance and took the time to write reviews saying how much they've enjoyed the stories. No book will ever be universally liked, but I've had a tremendous amount of positive response thus far. I will do my utmost to continue to live up to the high expectations that have been set. Thanks so much for chatting with us today, Alan. I wish you lots of luck with your book! 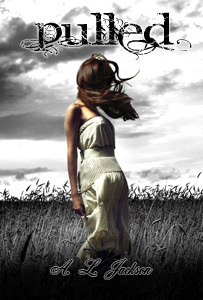 Today we're talking with author AL Jackson about two of her novels: PULLED and TAKE THIS REGRET. Hi everyone! I'm A. L. Jackson, author of Pulled and Take This Regret. I live in Southern Arizona with my amazing husband and three kids. I'm also the co-owner of a small publishing house, Sapphire Star Publishing. I really found a love for writing when I was in college. I was a young mother, and I spent a lot of time between classes jotting my thoughts in the journals I carried. I wrote a lot about love and life and the difficulties I faced. At that time, my writing looked a whole lot more like poetry than stories. As life went on and I got married, had a full-time job, and added two more children to my family, writing became something that I just didn't do anymore. But I missed it. About five years ago I had a story that had been rolling around in my head, and I finally sat down and began putting it to paper. It later became my first published novel, PULLED. Tell us about PULLED. I love the cover. What's the story about? PULLED is a contemporary romance that has a bit of a supernatural twist. I've always believed in fate, and I wanted to explore the idea of an unseen "hand" leading us where we were supposed to be. Melanie and Daniel shared a love most only dream of, a love they believed bonded them together for life. When their world is shattered by an unexpected tradegy, overwhelming grief and misguided guilt distorts the truth, and their relationship ends in uncertainty and unanswered questions. The ending scene of PULLED just came to me one day. I could clearly see the happily ever after and had a vague image of the characters and their circumstances. For several weeks that scene was there and ideas kept coming on how their lives had led up to that moment. It was when everything clicked into place that I finally sat down and began writing again. What is TAKE THIS REGRET about, and what inspired you for this story? 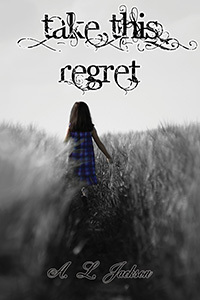 TAKE THIS REGRET is more of a mainstream contemporary romance, although in all of my books, my characters have a "higher connection". I'm definitely a planner. I write out an entire outline for my books before I start, chapter by chapter. I do leave myself open to changes as I get to know my characters better and different ideas come to mind, but I usually know exactly where my story begins and where it ends. I'm a slow writer, so I often will get frustrated when I've written an entire day and have only put down 500 or 1000 words. In the end, I find it's worth it because I don't have to typically do as much editing since so much time and thought has already been devoted to each section. A notebook and pen. I tend to scribble my thoughts down and then switch to typing . I'll often have half-written sentences in my notepad that help to get my ideas flowing, and then I can begin typing again. Quick writing test! Use the following words in a sentence: razor blades, daisies, and intervals. The smell of daisies seeped into her senses, the candle flickering as water lapped at her skin as she dragged the razor blade up her legs at precise intervals. LOL, so all I got was bath or suicide...had to go with bath. LOL, good choice. Here’s the part where you thank the people who are supporting you. Let's hear your shout outs. First off I have to thank all of my family at Sapphire Star Publishing. My author family is just amazing and my office is filled with some of my most favorite people in the world. It's truly a blessing. I also want to say thank you to the incredibly supportive book bloggers and book lovers who have reviewed my books. I just want to say thank you to Dorothy for asking me to share with you all! You're welcome! Good luck with your books!